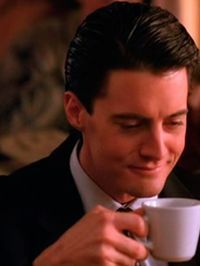 Maybe you’ll be this happy with coffee? Hello 2014! A new year, a time for looking towards how we can all be better people in the coming 12 months. Some may have emerged, sickly and bleary eyed on the morning of January 1st and uttered those all too familiar words: ‘I’m never drinking again.’ But here’s the thing. January is a long month. Payday is far away, Christmas has cleaned you out. January is a long, long month. Lets face it, Dryuary is a kick in the gut when you’re already down. A wise man once said ‘Every day, once a day, give yourself a present. Don’t plan it, don’t wait for it, just let it happen. It could be a new shirt at the men’s store, a catnap in your office chair or two cups of good hot black coffee.’ These are words I live by to keep myself happy and relatively sane. Sometimes it’s chocolate, sometimes it’s clothes, often it’s beer. If we all just chill out and enjoy our little ‘presents’ in balance with all the other things we need to do, I think we can all be happier and healthier people. I love beer. I drink inappropriately strong beer at inappropriate times of the day. Who cares? I keep a balance, I don’t need to go without the things I love or beat myself up about it. It’s that simple. You may or may not know that as well as beer I am pretty obsessive about health and fitness and in particular cycling. I cycle commute, I ride a mountain bike, a road bike and in my spare time I do spinning classes and then when I can’t do any of that I have a spare bike ready to go on a turbo trainer at home. My New Year’s motto (ripped off from my new favorite t-shirt) has become ‘ride bikes drink beer get awesome.’ So beer’s supposed to be bad for you? 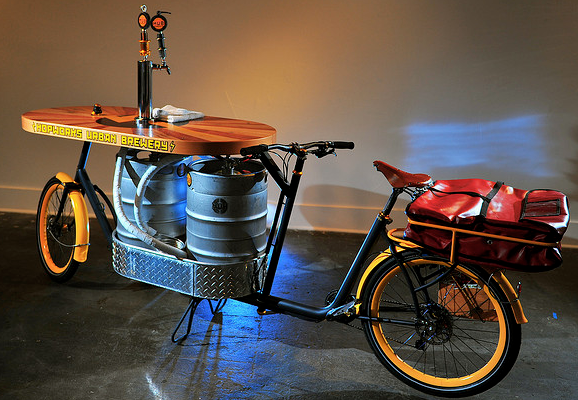 Well, to me, beer and bicycles just make sense. I love beer, I love to ride. I don’t feel guilty about the calories in the beer. I don’t feel like I’m punishing myself when I do what I love to do so I keep fit without really thinking about it. At the end of a long day in the saddle there is simply nothing better than something cold and hoppy. 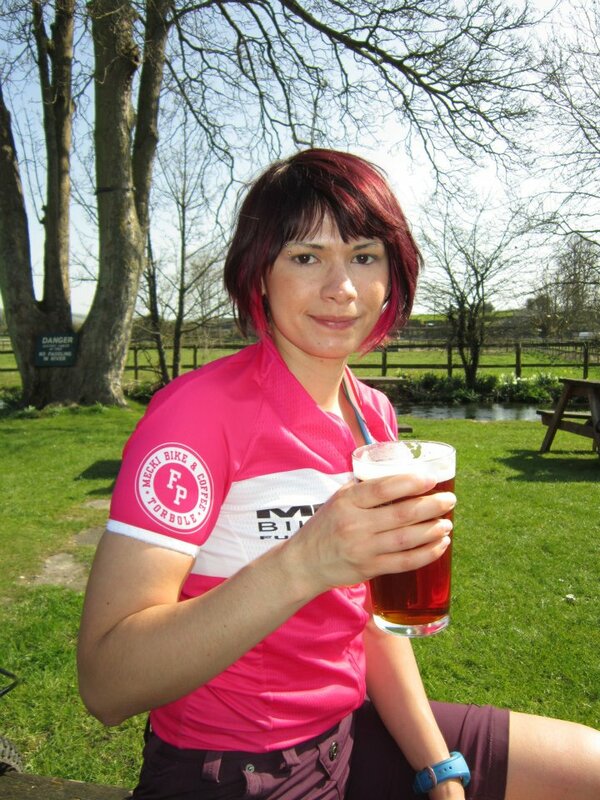 I’m not alone in this – ride any route in the Great British countryside on a beautiful day (or even a not so beautiful day) and the first pub you encounter with a beer garden will be full of cyclists enjoying a pint. Before you say anything, there is a legal limit of 80mg/100ml in the UK and I assure you a pint will not be a problem. One of my favorite rides last year was 100 miles from Reading to Bristol which rather conveniently ended at Brewdog where I enjoyed possibly the best schooner of Libertine I have ever tasted. I also have fond memories of watching the sun set on a beautiful day zooming around the Isle of Purbeck sitting outside The Lord Nelson with a cold pint of whatever the hell summer ale was on then. The point is, your beer will actually taste even better if you worked for it. The Dark Star and Morvello Spin Up will be back for the third year on May 24th. With a road and an off-road route to the brewery from Hove seafront, there’s no excuse not to. 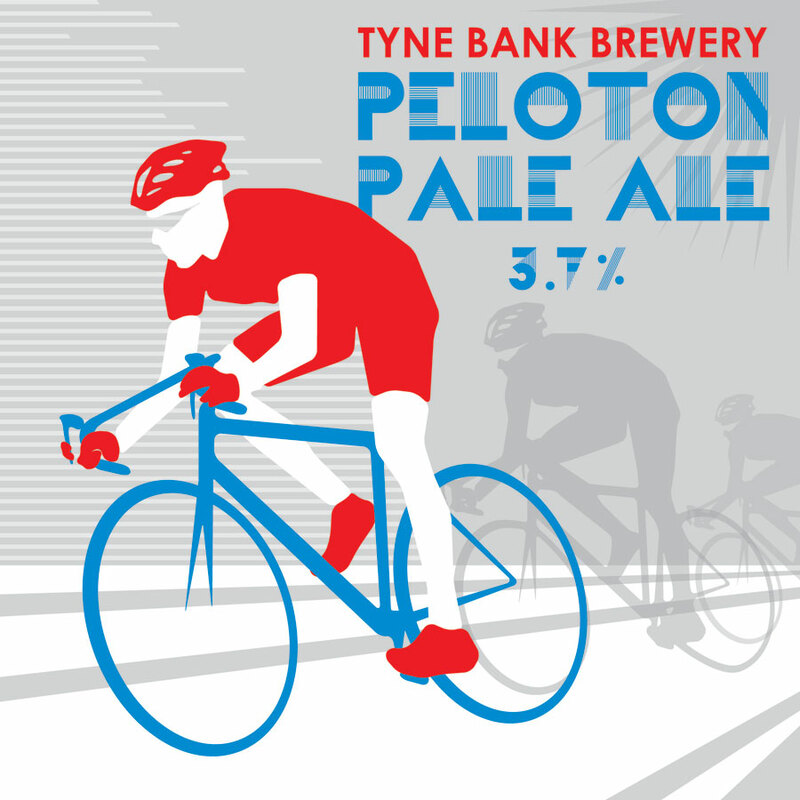 If all that sounds like hard work, there will be a pint of Dark Star’s finest waiting for you on arrival along with a barbecue, roller-racing, music, and lots of beer and bike kit for sale. 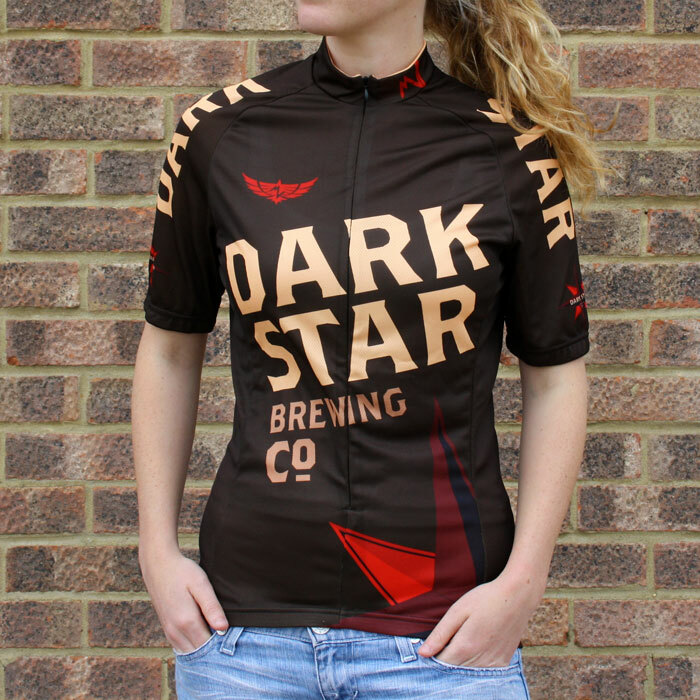 Morvelo will even be offering a generous 15% off their kit so you could even treat yourself to a Dark Star jersey as a souvenir. Don’t worry too much about wobbling back to Brighton as there will even be a coach to return both you and your bike safely to the city. on January 25th or Lovibonds on February 15th. If you like the sound of Lovibonds and you’re anywhere near Henley-On-Thames, join Team Lovibonds MTB for off-road adventuring every Sunday morning. You can even look the part in one of their awesome custom jerseys. Maybe you’ll work up a thirst for some of that awesome 69 IPA. For the past three years the Black Sheep Brewery in Masham has been involved in the Firkin Challenge which raises money for Wooden Spoon. Previous editions have offered a choice of two routes at 100km or 160km and the longer route will take you right up to the highest pub in England at Tan Hill! Both begin and end at the brewery where a celebratory pint will be waiting for you. A date for 2014 has not yet been announced but it’s worth keeping an eye on! For a more family oriented mountain biking event, the Big Bike Bash is a three-day camping extravaganza packed with races, food, a lake jump (yes it’s a ramp you can ride off into the lake) and, of course a beer festival. Don’t be put off by the shambolic website – the Twitter account promises that they’ll be back for more in 2014. OK so I don’t think you’ll be doing any actual riding on this one but the annual Manchester Beer & Cider Festival will be taking place right in the middle of the velodrome at the National Cycling Center on January 22 – 25th. Since track-cycling is serious business the velodrome will remain open for practice for the duration of the festival. Whilst there’s no guarantee of who you might see bear in mind that this is the home of Team GB so you never know…. If you’ve never stood in the middle of a velodrome whilst world-class cyclists fly around the track above let me tell you it is awe-inspiring. Make like Hopworks and get on your bike!